Advance Acoustics SUB-200 Black High end subwoofer with 2 drivers (active and passive). Power is ..
Advance Acoustics SUB-200 White High end subwoofer with 2 drivers (active and passive). 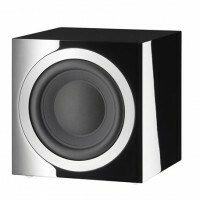 Power is ..
B&W ASW 10CM2 S2 Subwoofer The ASW 10CM2 S2, the most powerful of the 600 Series subwoofers ..
B&W ASW 608 Subwoofer For big sound in smalle spaces ASW 608 For big soun..
B&W ASX 610 Subwoofer 200W Class D amplifier ASW610 The ASW610's long..
B&W ASW 610XP Subwoofer The ASW610XP, the most powerful of the 600 Series subwoofers ..
Cambridge Audio Aero 9 Subwoofer 500W Sub woofer Aero 9 500W Subwoofer A sub..
Cambridge Audio X201 Subwoofer Lifestyle Sub woofer Minx Series Ultra compact spe..
Cambridge Audio X301 Subwoofer Lifestyle Sub woofer Minx Series Ultra compact spe..
Chario Piccolo SW1 Subwoofer Down-firing vented NRS powered subwoofer Piccol..
Chario Constellation Hercules Down-firing vented NRS powered subwoofer Constellation Her..